Comes with a December 3rd to December 10th 2010 Reservation! Special Description: On The Golf Course! Week Comment: Wonderful Place & Trades Well Too! 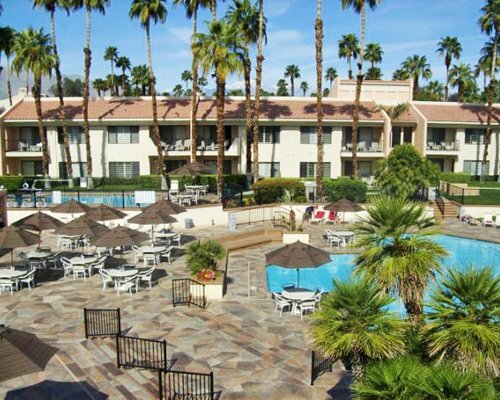 At Lawrence Welk's Desert Oasis, you'll find the perfect vacation getaway. 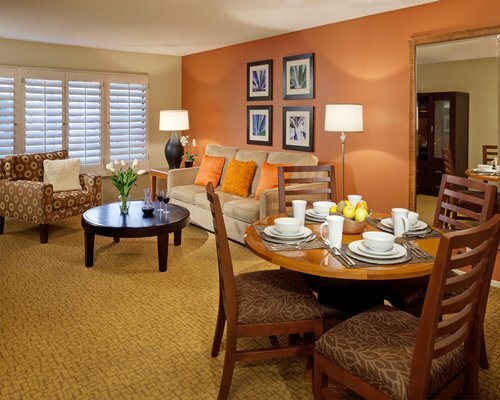 Adjacent to the resort are 27 holes of championship golf and 10 tennis courts. Take a refreshing dip in one of two swimming pools, work on a tan in the southern California sun, or relax in the soothing waters of the spa. Your choices don't stop there. You'll find the heart of Palm Springs just minutes away, where you can shop with the stars on Palm Canyon Drive or dine at many popular restaurants. Golf and tennis are not operated by the resort and are available for a fee.